It's the Metaluna Mutant! 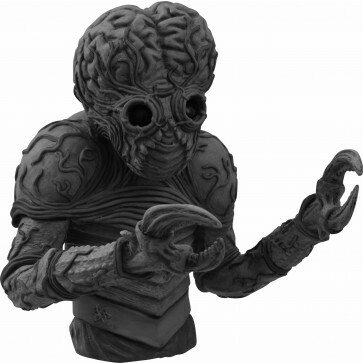 Whether you know him from the classic 1955 film This Island Earth or his hilarious appearance in Mystery Science Theater 3000: The Movie, you'll love this authentically-styled 9-inch vinyl bust bank. With a black-and-white paint scheme, this high quality display piece features a slot in the back so you can store your loose change in his giant cranium.